Environment Pollution Control Authority (EPCA) chief Bhure Lal directed authorities to stop the entry of truck traffic into Delhi, except essential commodities, from 11 pm on January 4 to 11 pm of January 5. The decision has been taken in view of the severe pollution level in Delhi for over 31 hours. Entry of trucks to Delhi would be stopped for 24 hours starting 11 pm Friday in view of the severe pollution in the national capital, the Supreme Court-appointed EPCA has instructed authorities. 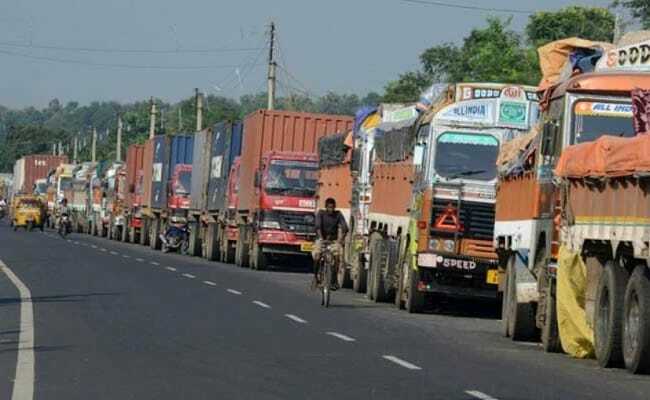 In a letter to chief secretaries of Delhi, Uttar Pradesh and Haryana, Environment Pollution Control Authority (EPCA) chief Bhure Lal directed them to stop the entry of truck traffic into Delhi, except essential commodities, from 11 pm on January 4 to 11 pm of January 5. "The enforcement of this direction requires coordination of all NCR (National Capital Region) states and you are therefore, requested to take steps to ensure that this happens. "Also, the opening of the Eastern and Western Expressway will make this easier to implement as the trucks that are not destined for Delhi now have convenient alternative to take," Mr Lal said. Mr Lal also urged people to minimise use of personal vehicles and avoid being outside for prolonged periods. The direction came after the recommendations of the Central Pollution Control Board-led task force. Delhi's air quality remained severe for the second day on Thursday due to adverse meteorological conditions as authorities warned that the condition would continue to deteriorate unless sufficient rainfall brings respite by cleansing the air.